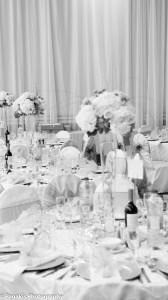 Montreal Weddings recommends that you always get a contract or letter of agreement describing the wedding products or services that you wish to receive. If something should go wrong, you’ll have the written contract to help you renegotiate the price and provide evidence in case of litigation. The best way to start planning your wedding is with a wedding planner, who knows all the professionals in the wedding industry. Working with a wedding planner will get you started on the right foot saving you time and very often money. Most of all, a wedding planner will help you avoid costly mistakes! Most wedding professionals who provide goods and services will have standard contracts; if they don’t, they can specify the details in a letter of agreement. 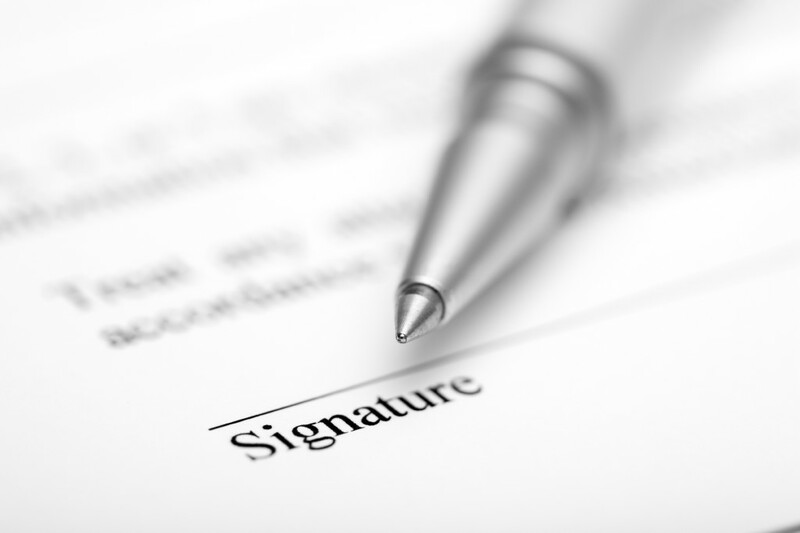 The contract or letter of agreement should include the costs and be signed by both parties. a) Specify all the details, from the size and type of flowers in your bouquet to the appropriate attire and number of breaks for the musicians. The following list contains some of the general items that should be included in your contract. List of services to be provided, number of hours, breaks, etc. b) Read and understand the contract. Read the contract carefully, especially the fine print. Make sure you understand and agree to everything; if not, ask questions or make changes – now’s the time! Don’t overlook the refund or cancellation policy. c) Date and sign the contract. Make sure both parties date and sign the contract. You won’t have a valid contract if the party promising to provide the merchandise or service doesn’t sign it. This may only become an issue if something goes wrong, but then it may be too late. d) Use credit cards. Put your deposit on a credit card. Pay the smallest deposit you can and put it on a credit card. Putting all deposits and purchases on a credit card is the best way to protect yourself as a consumer. Special federal consumer protection laws protect all payments made with credit cards, so you, as a consumer, have recourse to your credit card companies if you receive merchandise or services that do not live up to those you contracted for. You must first make an effort to correct the problem with the provider, or renegotiate the terms or price (do this in writing and keep copies). If this does not prove satisfactory, send a copy of your contract or correspondence, or a letter explaining the problem, along with pictures or any proof that will strengthen your case, to your credit card company. If, after investigation, it finds that the merchant did not live up to the terms of your contract, it will not release funds to the merchant’s account (or it will deduct them from the account) and will credit yours. If the retailer wishes to dispute this, it will have to file a claim against you for payment. e) Avoid large cancellation fees. Read the fine print in the contract or ask exactly what the cancellation policy is. Will the deposit be refunded if you cancel six months in advance, or if the provider is able to rebook the date with another wedding? Does the contract state that if the wedding is cancelled, you are liable for 50% of the cost or the total cost of the wedding, even if the original deposit was for much less than this amount? Last-minute cancellation fees are understandable and fair; just beware of what you are agreeing to before signing the contract. In the event that you do have to cancel, notify all service providers as soon as possible. f) See: How to select the best wedding vendors? Order your gown from a reputable salon, one you know will be there, to be sure your gown will be ready on your wedding date. Have the style number, dress size and colour written on the receipt, along with the deposit amount and promised delivery date. Order your gown well in advance to allow any possible mistakes to be corrected before the all-important day. A couple of weeks after the gown is ordered, call to verify that the order has been placed with the manufacturer and to confirm the delivery date. Get in touch with the salon periodically. Some salons have been known to close their doors after taking deposits from brides. They may not have ordered the dress or made any arrangements for the bride to take delivery of her gown. You don’t need a last minute surprise like that! To find a reputable salon, get recommendations from friends or bridal magazines. Be careful of hotel sales: Never pay the full price for a gown unless you are leaving with it in hand. With discontinued or sample sale gowns, check them carefully for irreparable damage or stains. When ordering a gown, be sure you are measured properly with a cloth tape, then ask to see the manufacturer’s size charts and order the size according to your largest measurement. This will help minimize costly, unnecessary alterations. Remember it’s better to order a dress that’s a little too big than one that’s too small. And don’t order a dress two sizes smaller than you wear with the idea of losing 20 pounds. If you don’t lose them you’ll be in real trouble. Pay the smallest deposit you can and put it on a credit card. If you have a problem, you can dispute the charges and often have them taken off your bill. Make sure your contract or receipt includes a cancellation clause stating the deposit will be refunded if the gown does not arrive in good condition by the specified date. If the gown does not arrive on time as ordered and your deposit is not refunded, consider taking the salon to small claims court. Report any fraudulent dealings to the Better Business Bureau, in hopes of preventing the same thing from happening to another bride. Be cautious when ordering your dress at a discount over the phone or by mail. Some of the problems that can arise include: not getting the style, colour or size of dress you ordered, getting a knock-off or cheaper version of the dress you saw in the picture, or running a greater chance of not getting your dress on time. Since you will be dealing with these problems long distance and you’ve already paid the money in advance, it won’t be as easy to resolve any problems. You will also have to make your own arrangements for alterations and pressing. Weigh the cost savings and the advantages and disadvantages of ordering from a discount retailer with which you have no personal relationship against a full-service salon, which will handle any problems at its own expense. Don’t forget about charges for shipping and long-distance calls. They can add up, especially if there’s any problem. Be aware that many bands either break up or change musicians, so the band you heard and booked eight months ago may not be the same group that shows up on your wedding day. Deal with an agent or the bandleader. 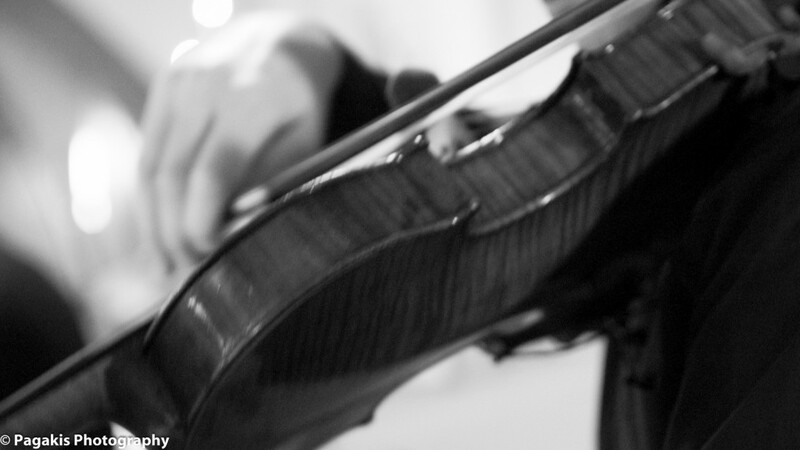 Specify the names of the individual musicians you want to play or sing, and have the names written on the contract stating they will appear in person on that date. To be safe, have them sign it personally, if possible. Always get a contract that specifies the date, location, and time the band or DJ should arrive, the number of hours they will play, the number of breaks they will take, and the cost and overtime charges. List the names of the individual band members and specify the appropriate attire for the musicians or DJ. Receptions booked too closely together by venue managers are another common problem. When another wedding is booked for the same day and in the same room as yours, make sure you specify your exact time, from which hour to which hour, allowing enough time for cleanup. If you feel the caterer manager or reception coordinator has not allowed enough time for cleanup or lingering by those attending the first reception, point it out. You don’t want your guests to arrive and have to wait in the wings. Remember that the more weddings managers book, the more money they make, and sometimes they try to squeeze too many in on the same day. Cancellation policies. Make sure you read the fine print and fully understand the cancellation policy. Are you liable for 50% of the entire reception cost, or just the small deposit you made, if you cancel months before the wedding? What if you cancel at the last minute? Do you get your deposit back if they are able to rebook the room? Check these things out. Put your deposit on a credit card; you will have a better chance of having it refunded in case of a dispute. Avoid hidden extras by reading the fine print of the contract. If the contract doesn’t specify certain fees such as reception site setup, cleanup, overtime fees or gratuities, ask about them. Inquire about charges for cake cutting, coat check and corkage. Itemize all costs; then state on the contract that no additional fees are to be added. If anything should change, initial and date the new charge. Determine the last date on which you can give the caterer or banquet manager your final guest count. Have them base the costs on a per-person basis and charge you only for the guests who will be actually attending, not the number of guests you originally invited. 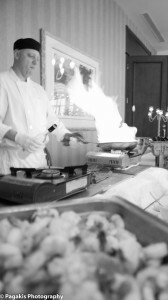 With your caterer, specify in writing the exact menu items that are to be served. Some caterers have been known to substitute less expensive food items than those you originally contracted for. Don’t pay 100% of the total bill in advance; hold something out until the reception is over. Be wary of a “great deal.” It may be just that – a great deal – but for whom? The old adage “If it looks too good to be true, it probably is” hasn’t hung around all these years for nothing. One method of enticing people to buy quickly is to give them a discount, or declare “the sale ends today.” Take your time, shop around, and know what a stone of a given size and quality should cost. Don’t buy from discount vendors who don’t have a permanent place of business. They may take your money and disappear, leaving you with a ring that isn’t what it was represented to be. And then what recourse do you have? Ask to look at the stone through the jeweller’s loupe (small magnifying glass). Look for inclusions or other imperfections. If the stone is loose, turn it upside down and place it over a newspaper. If you can read the print through the stone, the stone is probably glass, not a diamond. Deal with a Jewellers or shop that has a certified gemologist. Pictures and videos will provide you with lasting memories long after the last piece of cake is eaten. 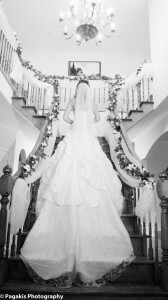 Be sure to work with a professional who specializes in weddings, especially for shooting the ceremony. Think twice about it. 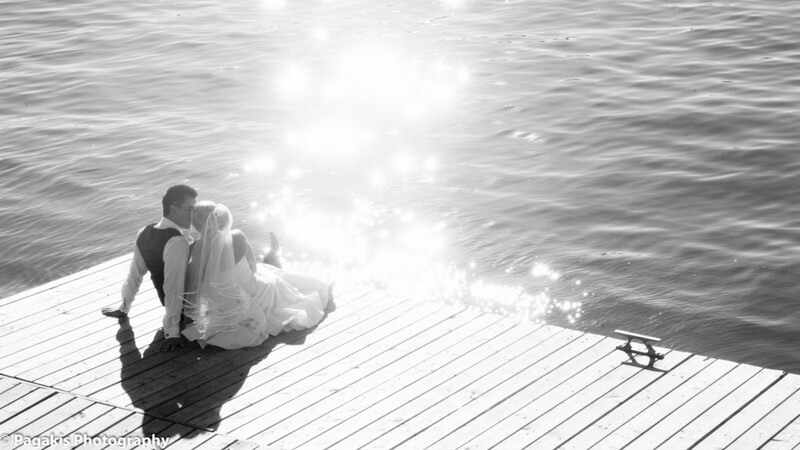 Pictures may not seem so important now, but you may regret not having good wedding photos in the years to come. Some photographers who have a studio with other photographers working for them may book your wedding and lead you to believe they will be the one taking the pictures. Then the day arrives, and so does another photographer, someone you’ve never met. Specify in your contract the name of the person who will be taking the pictures. Look at wedding photos that this person has shot (not the ones of the other studio photographers). Meet with the actual photographer who will be taking your pictures – at the wedding site, if possible. Discuss the type and number of shots, the length of time the photographer will be taking pictures and appropriate attire. If your contract with the photographer is for a specified number of hours, be sure to agree beforehand on what the overtime charges will be in the event that the reception runs longer than anticipated. You don’t want the photographer to leave after four hours, missing shots of cutting the cake or tossing the garter. Try not be locked into a specified number of hours with high overtime charges. If you come across a photographer who offers to take your pictures for a set fee and give you the film at the end of the reception, be cautious. Before agreeing to do this, contact a professional lab and get the price of developing the film and having 5x7 or 8x10 prints made. You might find that when the photographer’s fee and print costs are added up, you’re paying a lot more for the pictures. Only pay the total amount after you receive your wedding pictures. To avoid disappointment with your flowers, specify in your contract the type and number of flowers to be used in the bouquets and table arrangements and list flowers that can be substituted in case your first choice is unavailable. Specify price adjustments if less expensive flowers are substituted. Also specify in your contract details like the sizes and colours of the arrangements and bouquets, and give your florist pictures of bouquets and arrangements similar to what you want. The pictures will ensure the florist has an idea of what you want.